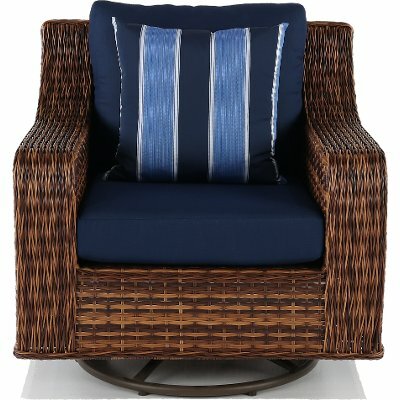 When it comes to outdoor time, RC Willey knows just what you need with this navy 3 piece outdoor patio set with throw pillows from the Tortola collection. 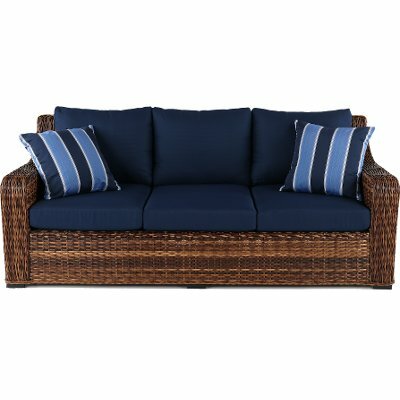 When you add this wicker and navy outdoor patio sofa from RC Willey, you will be getting a comfortable sofa that looks great and has a quality construction. The aluminum and wicker frames and the weather-resistant cushions will give you peace of mind that you are investing in a patio sofa that will last. With the included toss pillows, you can have that extra comfort wherever you want it. Add some extra seating to your patio area today! RC Willey helps you dress up your patio area with this oversized outdoor patio chair from the Tortola collection. 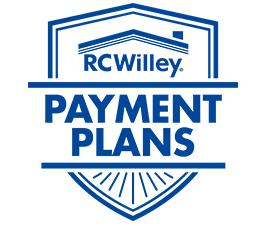 With a durable construction on the wicker frames and the weather-resistant cushions, you can know that you are investing in a patio chair that will last. With the included toss pillow, you can have that extra comfort wherever you want it. Add some extra seating to your patio area today! 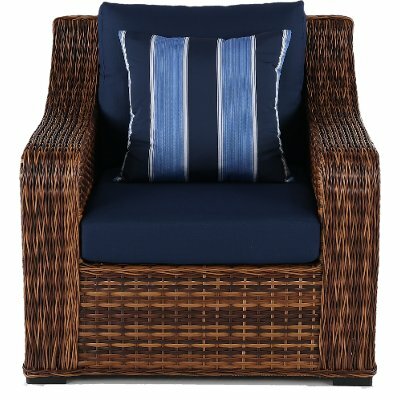 Almost too nice to put outside, this wicker and navy swivel outdoor patio chair from RC Willey is both comfortable and built to last. With a durable construction on the wicker frames and the weather-resistant cushions, you can know that you are investing in a patio chair that will last. With the included toss pillow, you can have that extra comfort wherever you want it. Add some extra seating to your patio area today!